P-Card Services is located in the Procurement Services Building on the University Services Campus. Items with a UA logo must be purchased from a licensed vendor. View the Branding and Licensing page for more information. 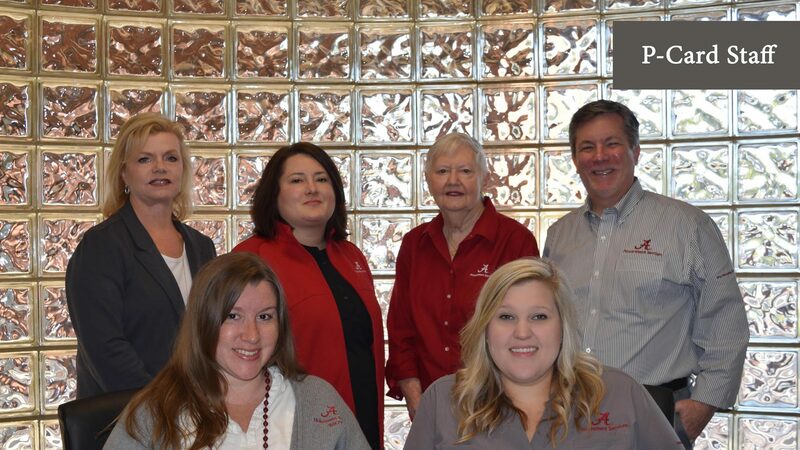 You can rely on our team for answers to your P-Card questions! Mission: To provide a convenient and efficient method to procure and pay for business related purchases in the most timely, efficient, and transparent means possible in order to sustain, foster and support the University’s mission of excellence in teaching, research and public service.